Since you’ll be spending much of your time in front of the camera on your wedding day, it helps to get rid of those in-front-of-the camera jitters during your engagement session. Often couples tell me they feel awkward in front of the camera. I encourage them to think of their session as a fun date night where they get to cuddle, kiss, and have fun with each other. During these sessions I give my couples a few different actions to go through and let the rest flow naturally. People often use their engagement photos for their save-the-date cards, pre-wedding parties, and decor for the wedding (guestbook, table numbers, canvases, etc.). Location. Choose a location that suits your personality. Some couples like to choose a scenic background, while others like to go to a place that’s special to them. Choose a location that’s separate from your wedding venue so your engagement photos have a different look than your wedding photos. 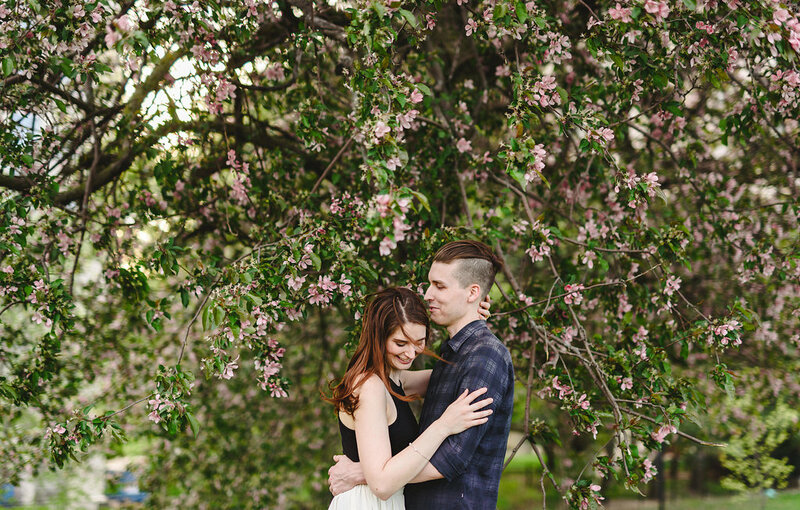 Check out some of my engagement location inspiration here. Find out if your location requires a photo permit, as many parks and indoor locations require one. Some locations are more watched over than others. Sometimes you can be sneaky and go without a permit, but have a plan B in case you get asked to leave. Permits can range from $150 to $350. Props. While props are not necessary, they can help keep your hands busy. Some couples like to have an activity or props to play with during their shoot. Think about what you like to do together. If you play sports together you could bring a volleyball, football, frisbee, etc. Or you might like to bring a bottle of wine to a scenic locale downtown. Clothes. Wear something that makes you feel good and you can move around in. Bring a change of outfit so you can have two different looks, like one dressy, one casual. It helps if one person wear’s neutral colours and the other wears a brighter colour. Avoid being too matchy matchy. You wouldn’t dare go to brunch wearing the same outfit so don’t wear the same jeans and white tee-shirt for your photos. Less is more, steer away from wearing tight clothes and short skirts. While they look great on you when you’re walking down the street they can make you feel self conscious and make parts of your body look larger than they are in reality. Need inspiration? I have lots of engagement outfit ideas for guys and gals here on my Pinterest board. Hair and Make up. Consider having your makeup and hair for your engagement session. It’ll make you feel good and help you look your best on camera. You can also scheduling your make up trial before your engagement session so you can see what it looks like in photos. This is a good way to find out if you need to tweak the look. Also, consider having a manicure so your hands look good for those close-up ring shots. Have fun! Take a deep breath. You are not a model so don’t feel the need to pose or do something that doesn’t go with your vibe. Your photos will look authentically you when relax and have fun with each other. 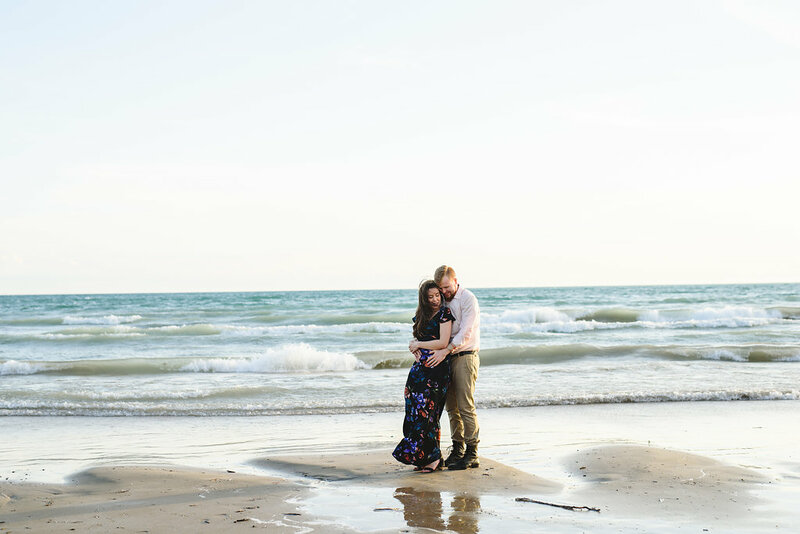 There’s always a bit of nerves at the start of an engagement session, but once things get going you’ll will start to feel like it’s just another date night.